Aurora, CO (October 14, 2010) – The recent announcement by Cornell University of the commercial availability of a direct DNA test for Lavender Foal Syndrome is a direct result of funding from the Arabian Horse Foundation. Lavender Foal Syndrome (LFS) is a lethal neurologic disorder known to affect Arabians. 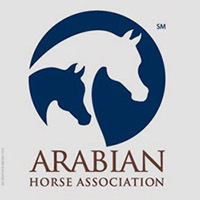 “The availability of the test culminates years of research by Cornell researchers and grants totaling $4,500 from the Arabian Horse Foundation,” states AHF President Larry Kinneer. “The AHF board is gratified by the progress made possible in part by our financial support and applauds the work done by Cornell researchers. We are grateful to our AHF Equine Research Advisory Panel, which is chaired by Beth Minnich. LFS research has been limited in large part due to the lack of available affected foal samples for organized research projects and very limited funding. But, in 2008, the research landscape changed and Cornell University, in conjunction with the Arabian Horse Foundation, initiated a new study on LFS to locate the mutation responsible and develop a direct DNA test. The results from this study were published earlier this year in the April 15 issue of PLoS Genetics and a direct DNA test is now commercially available from the Cornell Animal Health Diagnostic Center. In the past three years, the Foundation has given out nearly $75,000 in grants and scholarships. Over 70 Arabian horse youth have benefited from scholarships in those three years, in addition to many others in previous years. In addition to Cornell University, UC Davis has received Foundation support totaling $11,000 to continue research into Cerebellar Abiotrophy. 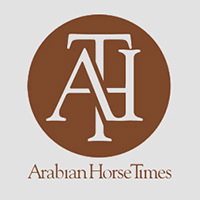 The Foundation is also involved with a new project this year at Cornell to study Equine Metabolic Syndrome (EMS) and Equine Cushing’s Disease (ECD) in Arabians. Cerebellar Abiotrophy, or CA as it is called, is a degenerative disease of the brain where the Purkinje cells in the cerebellum die, which results in a severe lack of coordination. Arabians are known to be affected by this disorder. Funding will assist researchers in locating the exact mutation involved and developing a direct DNA test for CA. The Foundation has set aside funds for assistance in rescue and rehoming where time is of the essence. The Foundation’s Rescue and Rehoming panel, chaired by Carol Darnell, assists in funding designation. The Foundation continues to seek financial support from AHA members. Contributions can be made when renewing or becoming a member, by checking a box on the membership form. 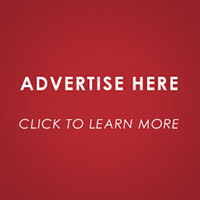 A person can also make a donation on the Foundation’s web site, through PayPal, or send a check to AHA made out to the Foundation, indicating their area of designation. “Any gift is appreciated. If everyone gives a little, it all adds up,” Kinneer says. For more information about the Foundation or to make a contribution, go to www.arabianhorsefoundation.org/. In addition to Kinneer, other members of the Foundation board are Lollie Ames, Nancy Harvey, Jim Cada, Frank Galovic and C.A. Butler.